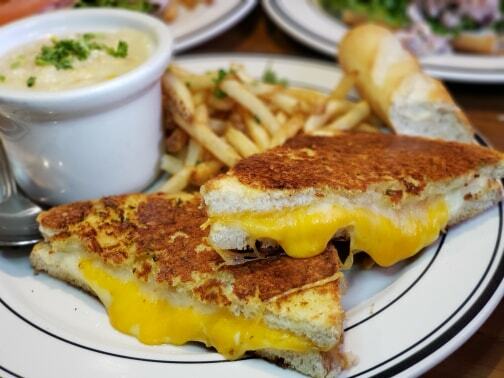 Thank you for having me out to try your new lunch menu. All opinions are my own. Mimi's is special to me in a memory of my mom kind of way. 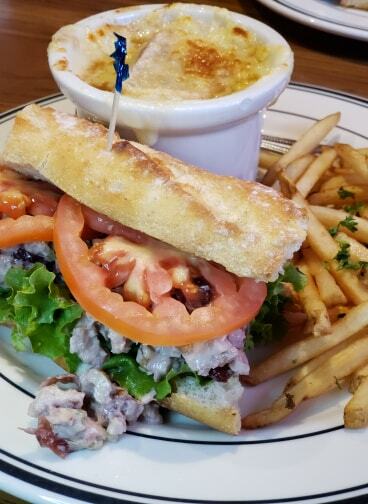 We used to drop in for some yummy fresh breads and French Onion soup. Loved those times. I remember her loving our time spent chatting and enjoying a good meal. We loved sharing a sandwich or a quiche and taking time to enjoy the moment. It's little memories like this that were traditions for us before she passed. Now its nice to experience a lovely lunch with friends that have turned family. 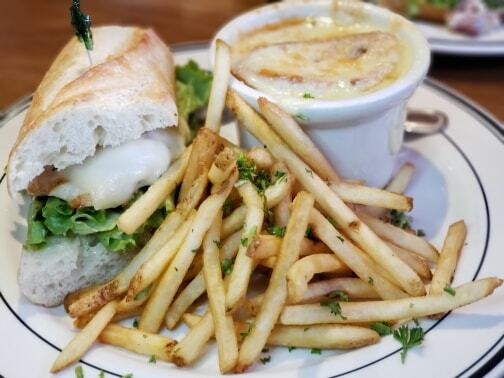 Lunch has been updated along with a full new look to classic favorites and new bites in the whole menu. 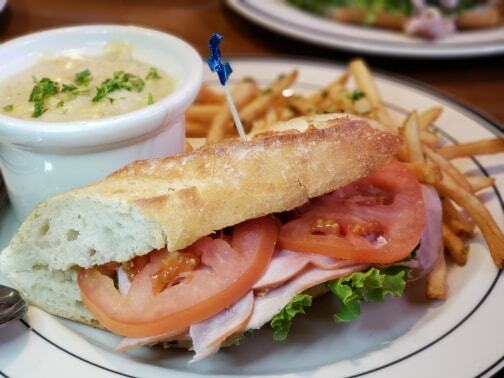 With lunch combos you can choose a soup and sandwich that will also come with fries. All of this for under $11 is a great deal to me. 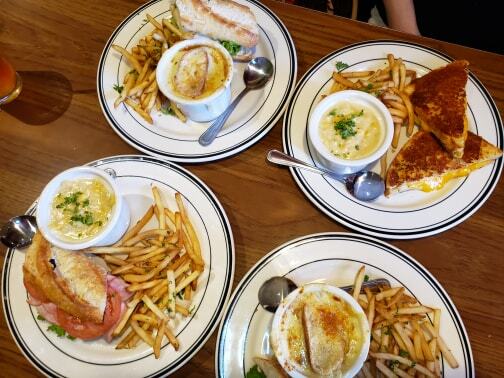 We tried a few of the features and of course the savory soups. Everything was delish and full of fresh flavors that I'd totally return for. The French Onion soup is just as I remembered it from a few years ago and that is a taste of memories to me. A lunch with friends is always refreshing and a way to recharge your energy. Laughs, food, fun... my style. 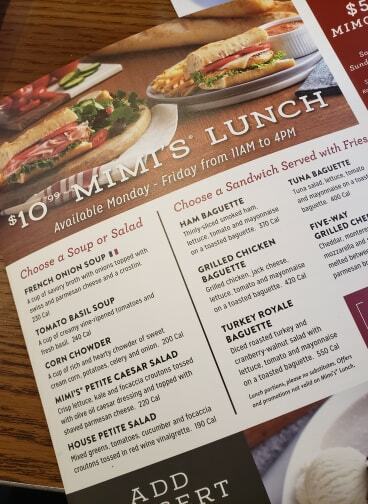 Mimi's Café is offering their lunch combo specials Monday To Friday from 11 to 4... enjoy!